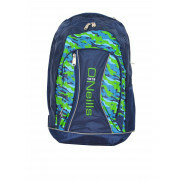 A strong, spacious and durable pack back from O’Neill’s navy blue. 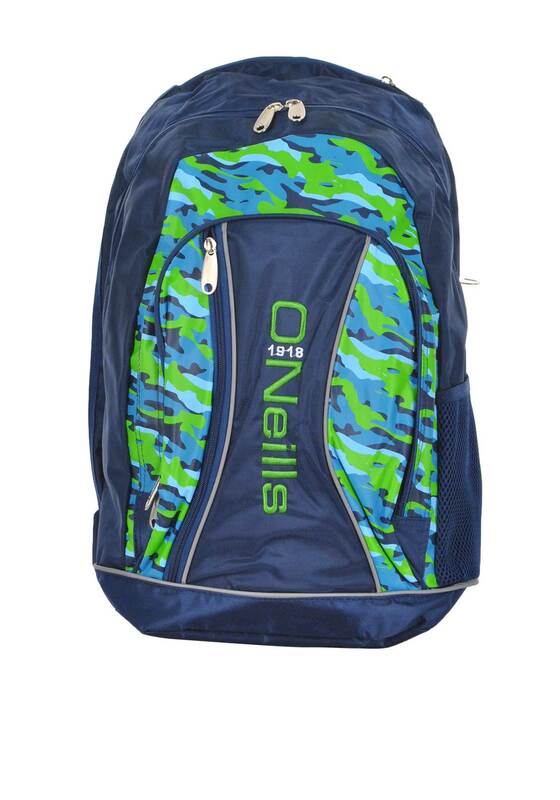 Featuring stylish camouflage design, O’Neill’s embroidered on the front and straps and road safety piping for dark to dust. It has four compartment with a water bottle holder on the side, an iPad compartment, comfortable padded back panel and adjustable padded straps. It comes with a rain cover and id ideal for school, college, sports activities or when on the move. Dimensions: Height-50cm Length-34cm Width-19cm Approx.